I’m on a pomegranate kick! My family and I are drinking pomegranate juice, eating pomegranate seeds (brings back great childhood memories of eating them at my friend Sue’s house straight from the trees!) 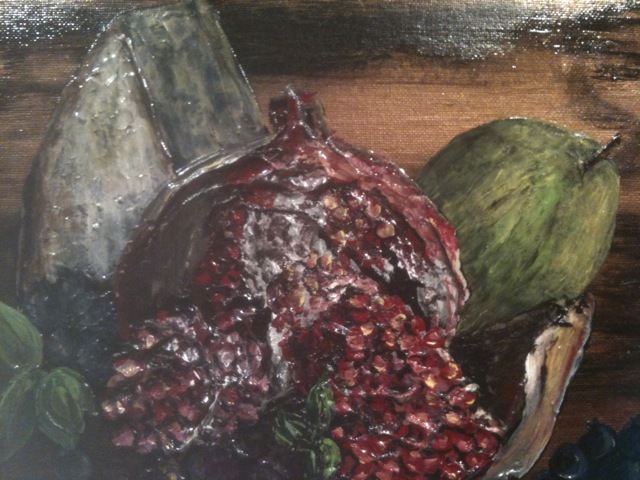 and now I felt compelled to paint a pomegranate. I gotta go. I’m thirsty for some p juice now….EnJOY!